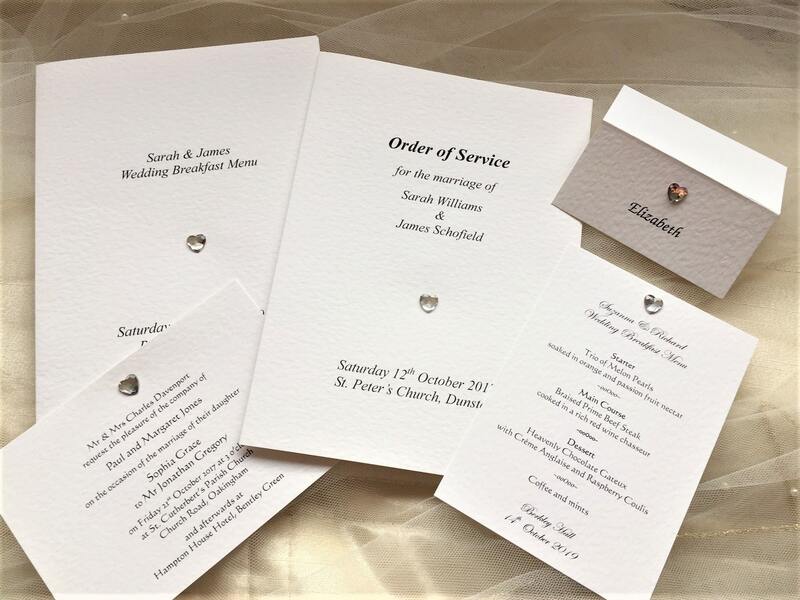 Elegant Diamante Heart Postcard Wedding Invitations supplied on a thick heavy weight (270 gsm) hammered card and available in white or ivory. 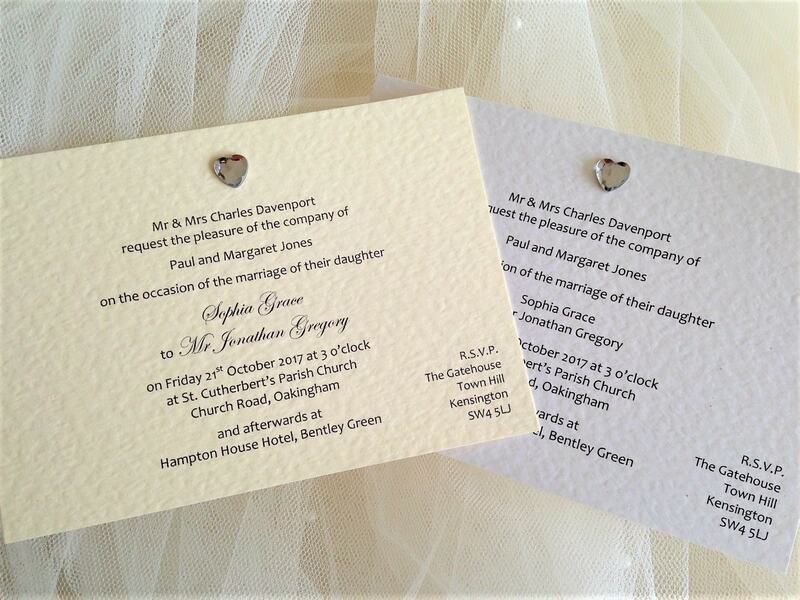 These are the most affordable wedding invitations in our Diamante Heart Wedding Stationery Range. 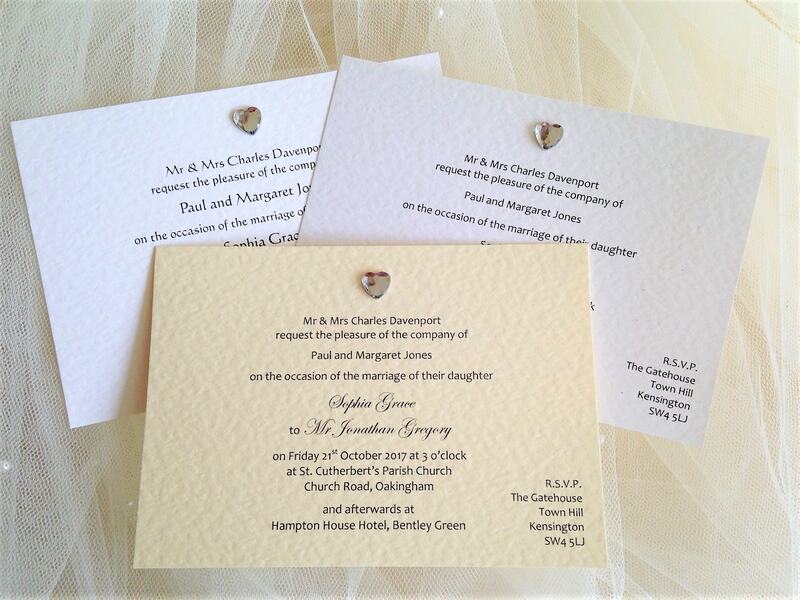 Please note: Diamante heart is only available in clear. 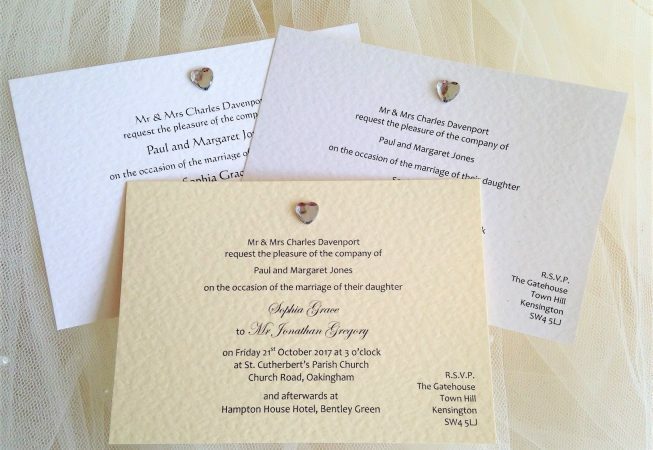 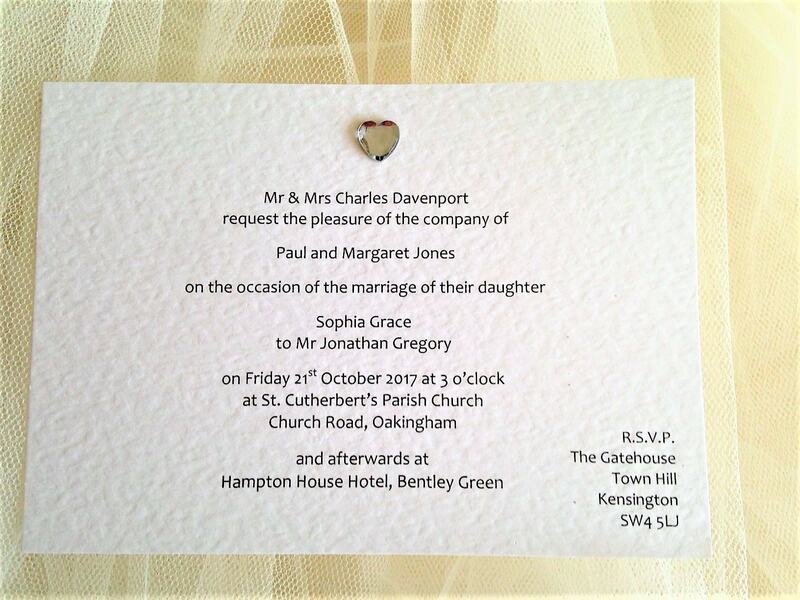 A diamante heart gives a lovely elegant feel – it will start to get your guests very excited when these wedding invites drop on their door mat!